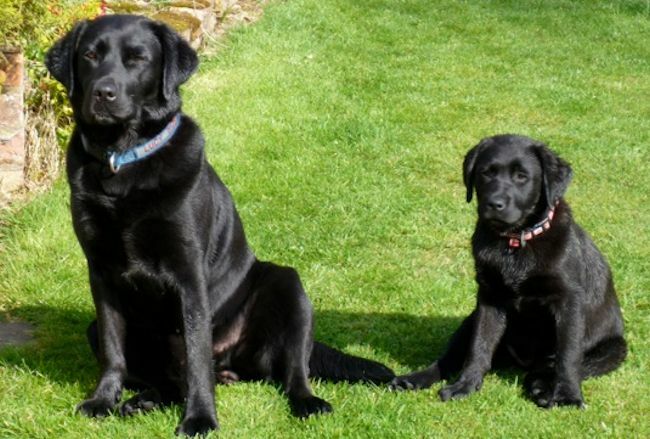 I thought you would like to see one of your pups 13 years down the line. Ben celebrated his 13th birthday this week and is still enjoying life to the full. He is a bit deaf but can still hear the treat cupboard being opened. He had to see the vet a couple of weeks ago for an upset tummy and she checked his blood while he was there. 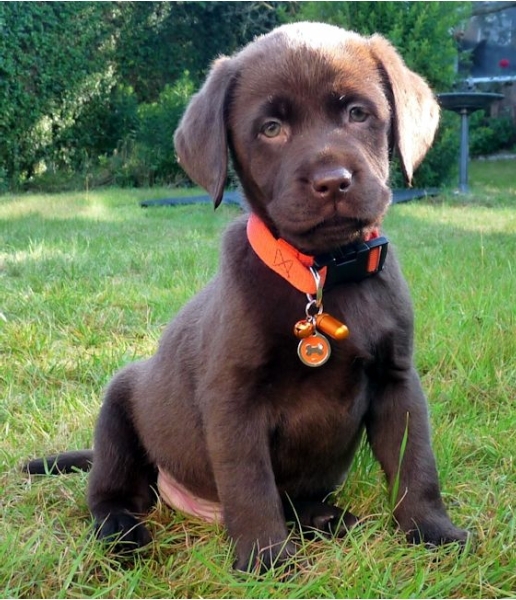 When she saw the results for his liver and kidney tests she was amazed at how good they were for a dog of Ben's age. 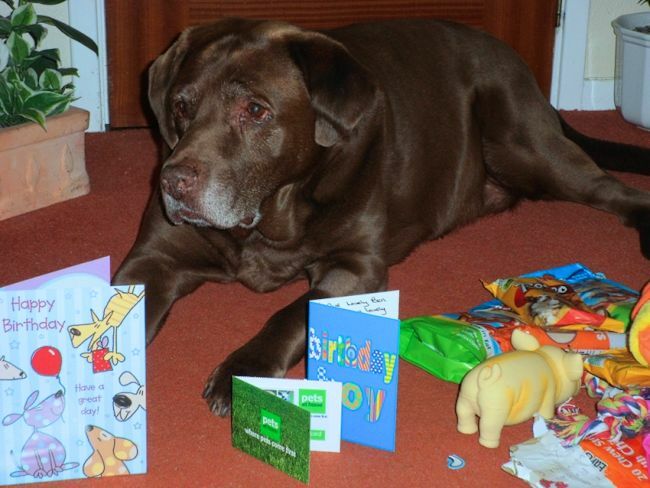 Here he is with his birthday cards and yes that is his happy face.